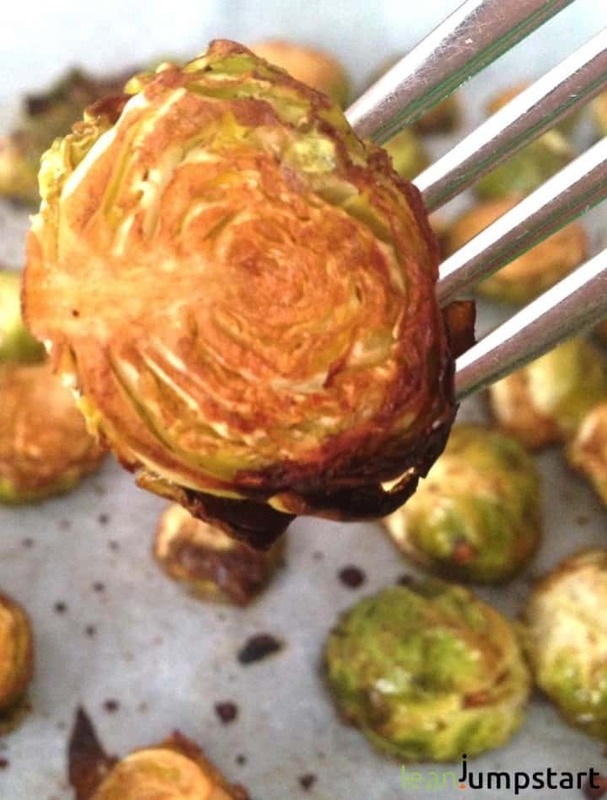 I can’t believe that it took me ages to try out a roasted Brussel sprouts recipe. But a recent incident changed my mind forever and catapulted these “baby cabbages” into my Top 10 list of winter vegetables. You know, Brussels sprouts are one of those vegetables my family and me have omitted for a long time. Hey, there are so many other vegetables around we prefer, that passing on this “bitter veggie balls” didn’t really bother me. 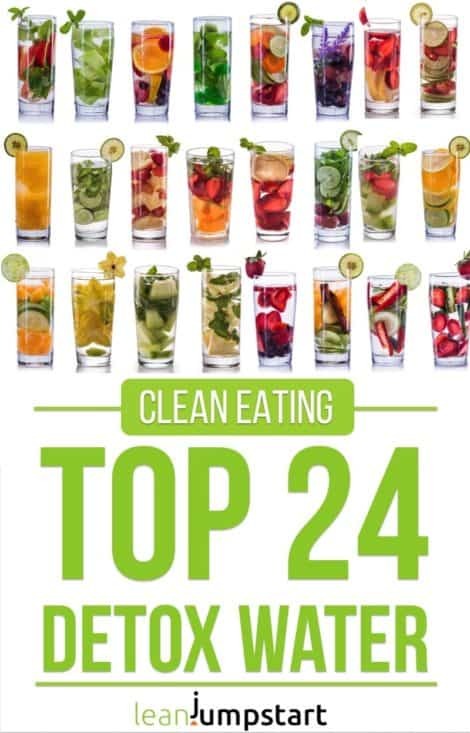 My mostly plant-based clean eating kitchen offers anyway a multitude of different fruits and vegetables throughout the week. I don’t know about you, but here in Germany baked Brussel sprouts are often served as side dish with roast goose. As none of us really enjoy goose the probability to eat these “mini cabbages” in a restaurant tends to zero. When it comes to recipe inspirations or smart ideas in general, then Pinterest is my favorite place to go. 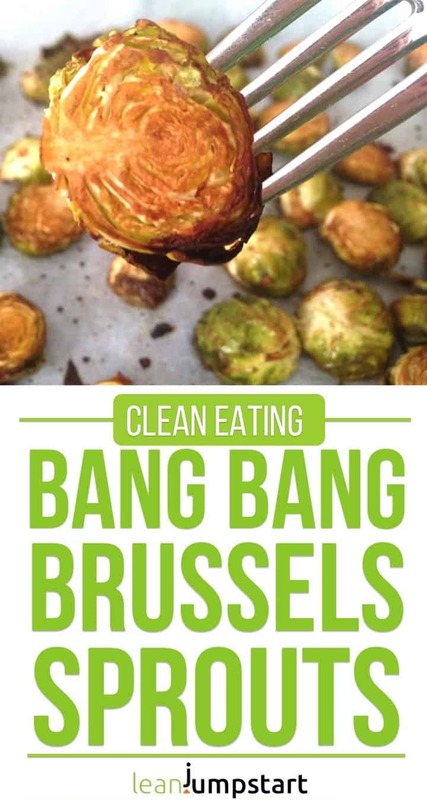 Some weeks ago I spotted a recipe for “Bang Bang Brussels sprouts” by Lindsay Funston from delish.com that sparked my curiosity. Can you imagine that it was shared over 178,000 times on Pinterest since February this year. This kind of social proof was something I could not ignore. I had the strong urge to give this easy vegetable side dish a try. As inspiration I used Lindsay’s recipe with bang bang sauce and turned it to a clean eating recipe we could enjoy without guilt. Their recipe calls for store-bought chili sauce, but I made my own cleaner version instead. I found out that “Bang Bang” stands for a sweet, sour and spicy Asian sauce that is often used for Asian “Bang Bang chicken”. Nowadays you’ll find many “Bang Bang recipes” that are based on a sweet, sour and spicy sauce. This day in November 2017, marked the beginning of a life long “love affair”. Make sure to read until the end of the blog post where I also share some facts on the nutritional value, especially the impressive Brussel sprouts fiber content and the various health benefits of this amazing cabbage type. But first let’s jump into this sheet pan recipe, that will make your family fight over these veggies. Preheat oven to 425 F/210 C° or 360 F/180 C° (convection oven). In a small bowl, whisk together olive oil, Balsamic vinegar, maple syrup, minced garlic and red chili flakes. On a large baking sheet, toss Brussels sprouts in sauce until fully coated. Bake at least 20 minutes but not more than 30 minutes at high heat. The veggies will look shrunken, but this is ok. Transfer them into a casserole dish. I love to serve them with baked salmon. Any leftovers can be reheated. You could even snack them just cold from the fridge. Very high in nutrients and vitamins the nutritional value of the vitamin bombs can’t be praised enough. 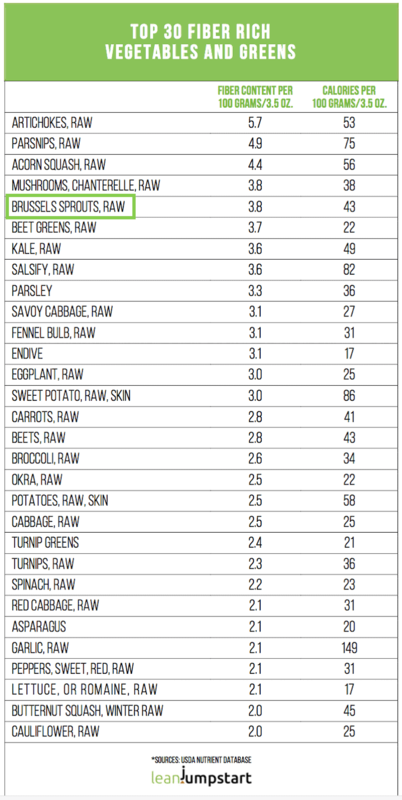 A mere 100 g of Brussel sprouts cover more than 100 percent of our daily requirement of vitamin C.
You’ll find almost 100 studies in PubMed that are concentrated on these mini cabbages. Over half of those studies show a connection between this cruciferous vegetable and cancer prevention. Here is just one study as example. Furthermore these tender veggies protect us from colds and other infections. On top of that they contain secondary plant substances, which can help with arthritis, asthma and even autism. Learn more about the many health benefits of Brussel sprouts including their detox support here! These vitamin bombs are also high in fiber, ranking number 5 on our top 30 list of vegetables rich in dietary roughage (see above). According to Harvard University Health Services about 53 percent of the fiber in the cooked vegetables is the soluble type. The soluble one feeds your gut bacteria, keeps you satiated and can reduce the risk of heart disease and diabetes. The remaining 47 percent is insoluble fiber which can promote regularity and support digestive health. Click through to learn more about high fiber foods. Brussel sprouts have the highest protein content of all cabbage types with 4.9 g per 100 g. Given the high value of essential amino acids, this cabbage type is of great importance both for the vegetarian and vegan cuisine. In comparison: 100 ml milk contains about the same amount of proteins: 5 g per 100 ml. For an even spicier bang bang sauce you can use instead of the Balsamic vinegar sauce also an olive oil sweet chili sauce sriracha. Hopefully with this recipe and health benefit information you’ll have much more fun with these veggies in future. Let me know, how you have liked it. I love that you added a vegetable twist to a popular dish! Looks great! 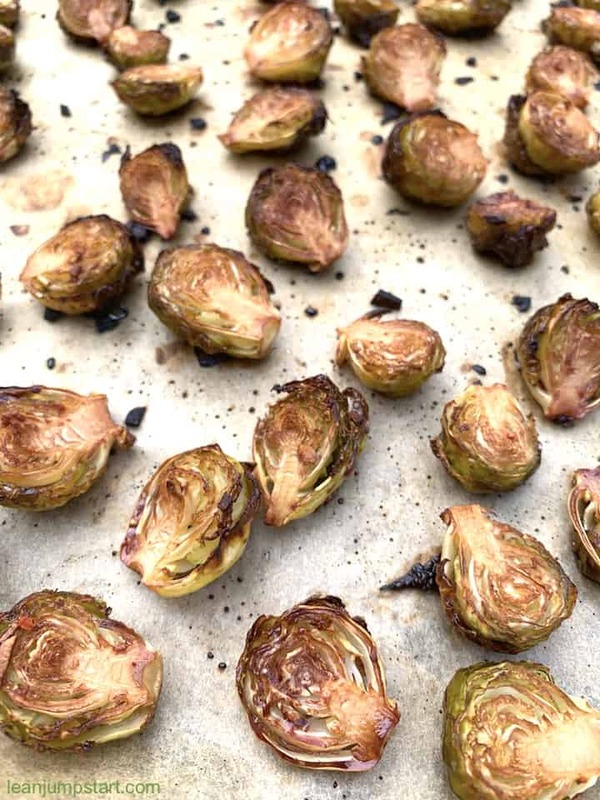 this sounds like a great recipe for roasted brussels! I typically braise mine, but should totally try this recipe! I love trying new flavors and recipes with Brussels sprouts and this is definitely a new favorite! So easy and so delicious! Yes Kim, this is such an easy recipe I wish my mother had known it at a time when I still refused these healthy veggies. I can’t wait to try this. 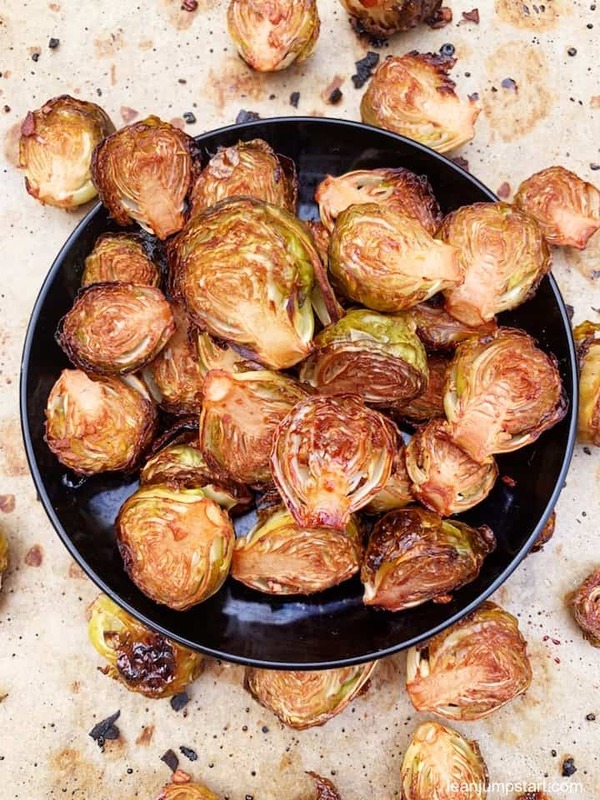 We love brussels sprouts anyway, and this sounds delicious! I love that you gave so much nutritional information, too. You are very welcome Leslie. Don’t wait too long to try this recipe – I’m sure you’ll love this special “bang bang” twist. I often feel Brussels sprouts are underrated, poor things. 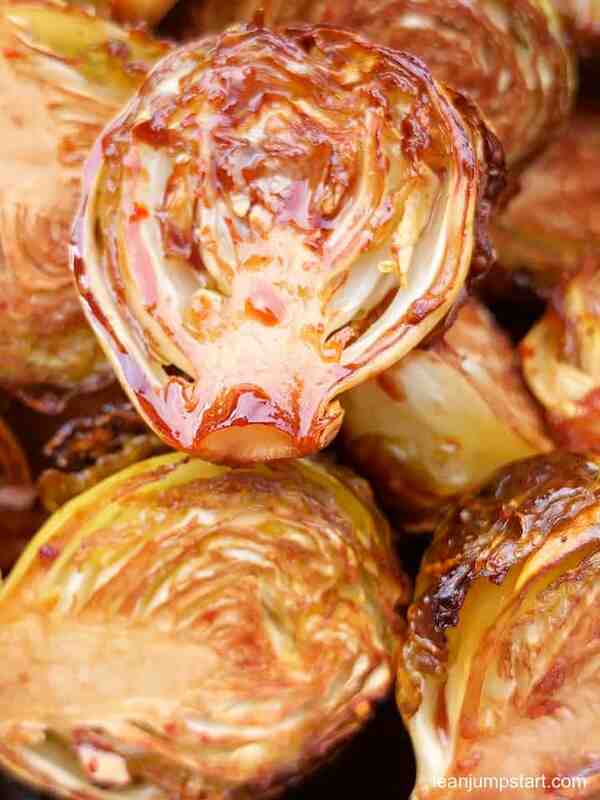 When cooked right, they can be utterly delicious and a great side dish to many a meal. This is a great way of adding extra flavour and making them more tasty. Perfect for a celebration dinner. Since I’m preparing them with a “Bang Bang” sauce I share the same opinion like you, Katherine. They are perfect for a festive side dish but also a sneaky way to increase the consumption of cruciferous veggies throughout the week. I always look for new ways to cook brussels sprouts. I love them and I’m happy that I found a new way to prepare them. You are very welcome Tara. I’m used to a slightly cabbagey odor when cooking my beloved cabbage recipes, so it doesn’t really bother me. Yes absolutely, Ali! The Bang Bang sauce is the secret component which turns this a bit unpopular vegetable into a culinary delight. I’m glad that my easy recipe could inspire you, Rebecca. It will take your love for these nutrient dense veggies to the next level. I have been on a mission for the past week to come up with a recipe where I didn’t mind brussels sprouts… they’re just not my favorite. I can, however, think of a handful of people who would love your recipe! I have some brussels in my fridge that are begging to be used! I think I know what is for dinner! I’m glad that my recipe could inspire you, Cindy. If you don’t have Balsamic vinegar you can also replace it with red wine vinegar. Let me know how you have liked it. Can you use frozen Brussels sprouts?